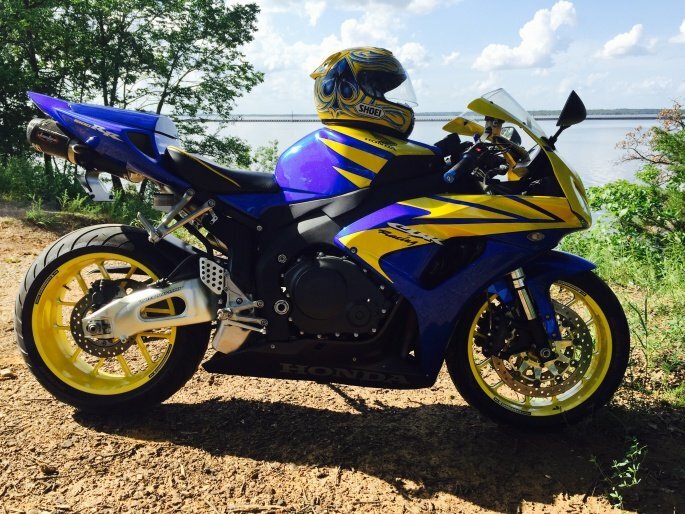 Honda CBR1000 Forum : 1000RR.net > Chatter-Box > 1000RR General Discussion > What did you do for your CBR 1000RR today? What did you do for your CBR 1000RR today? Last thread got large enough that we had to lock it down and start a new one! post up what you have done for your bike today. help give others ideas on what to do with their bikes. Put my battery on the charger, and bitching at the girlfriend to get my forks rebuilt. dropped off bike for the recall! I crashed it at BMP. Ordered the parts I needed, fixed it, and now we are on the road to NCM motorsports park to ride for the weekend!